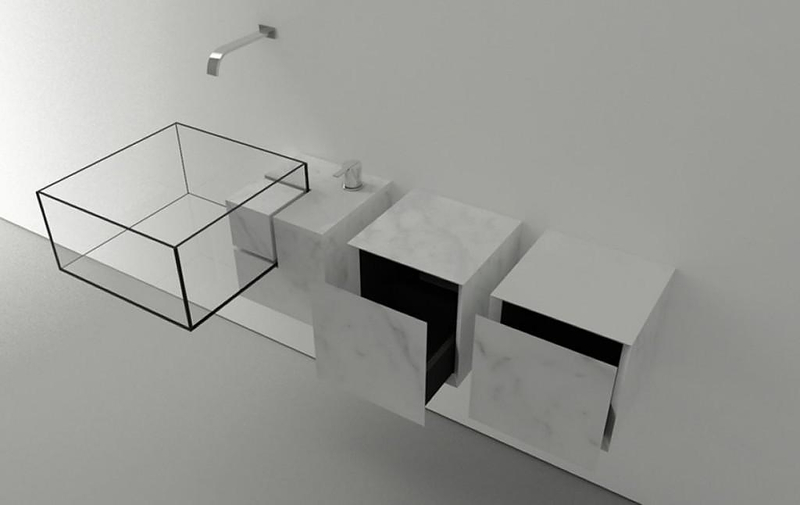 HomeBlogHome DecorMinimalist Kub Basin by Victor Vasilev. The Kub basin is an exceptional example of minimal industrial design. 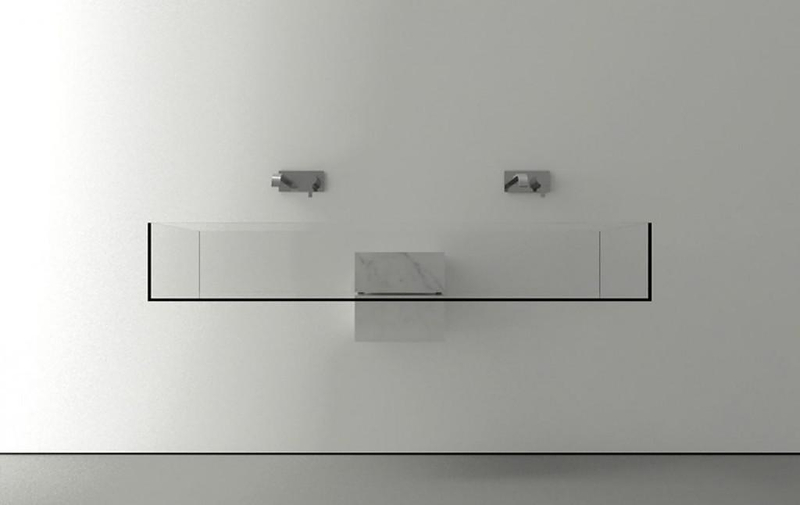 Created in 2010 by Victor Vasilev, the Kub basin features a unique sleek design, which is defined by clean geometric shapes and lines combined together in a discreet luxurious composition. 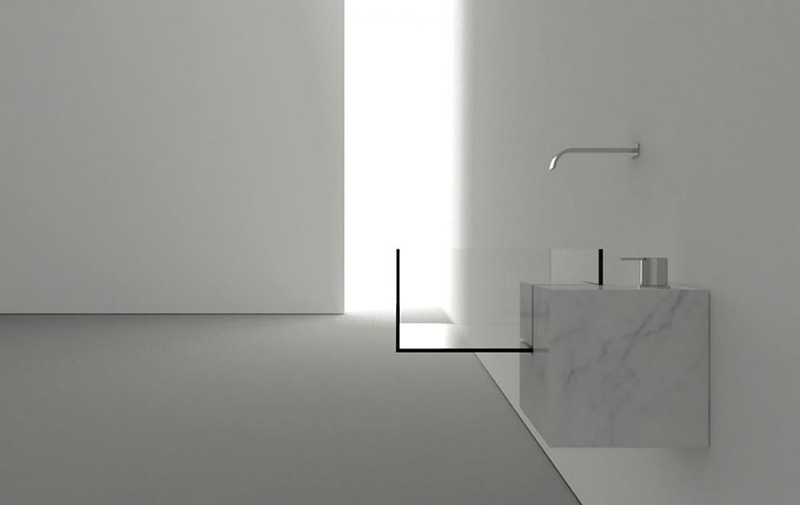 Four years after its design, the Kub basin can be considered to be a classic example of minimalistic design with a sleek look and clean geometrical shapes and lines. Its design leaves out all extravagances and keeps the absolutely necessary. The Kub basin impresses with the choice of glass for the main basin, a material that makes it look almost invisible. 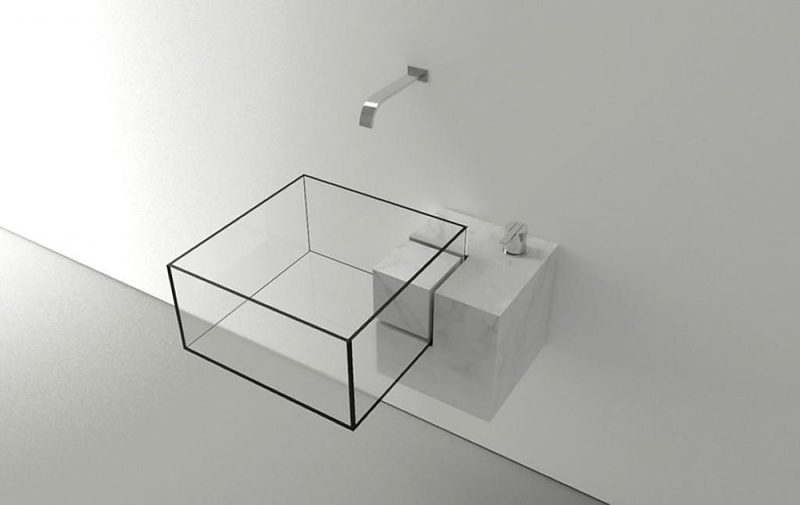 Vasilev chose to combine the glass basin with Carrara marble. 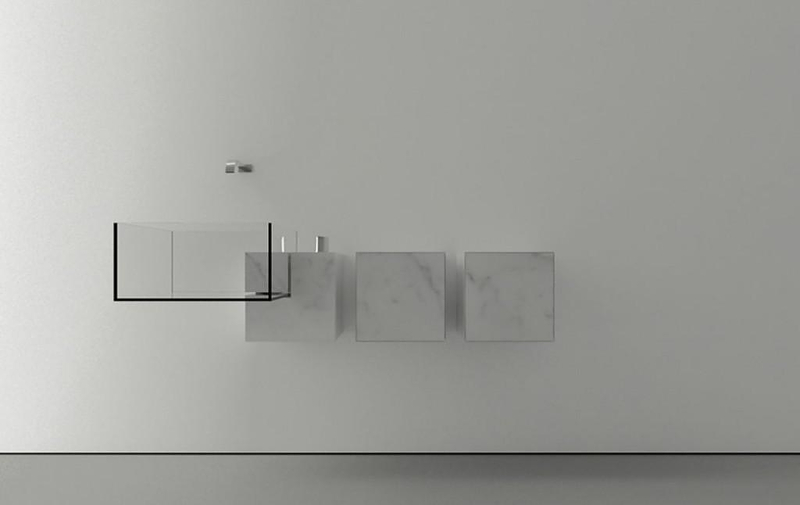 The marble enhances the junction of geometric lines that seems to be the main idea of the design, but also has a functional role as a shelving surface or even a storing space. The Kub basin features its own in-wall faucets and is also available in a double basin version. Victor Vasilev was born in Bulgaria and, after living in Israel for some time, he moved to study in Milan where he stays since. He is an architect with his own personal studio undertaking architectural, interior design and industrial design projects. 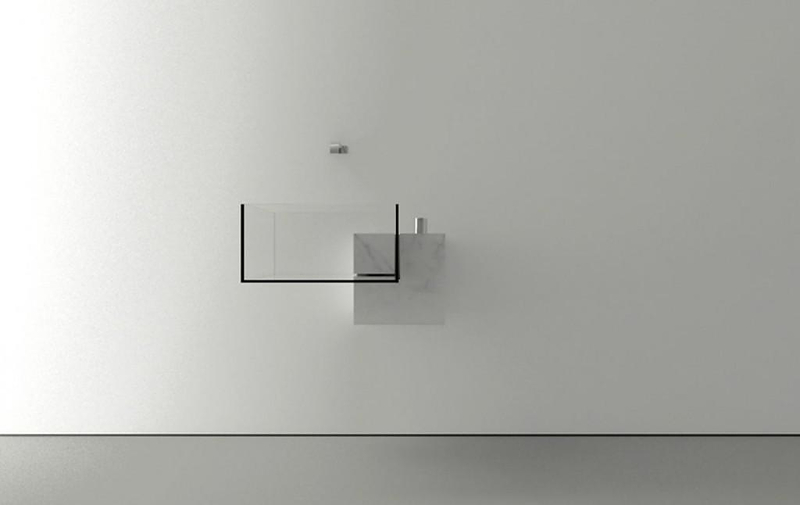 Vasilev is devoted to minimalism, the basic principles of which are apparent to his portfolio work and enhanced by his studies in Scandinavian countries (Copenhagen). Saphirkeramik Wash Basins by Konstantin Grcic for LAUFEN.